to buy fertilzers and other farm supplies. Betty benötigte 400 US-Dollar, um ein Gewerbe im Bereich Landwirtschaft auf- oder auszubauen. Das Geld wurde gesammelt und für Betty bereitgestellt. Betty is 48 years old and married with five children, three of whom are in school. 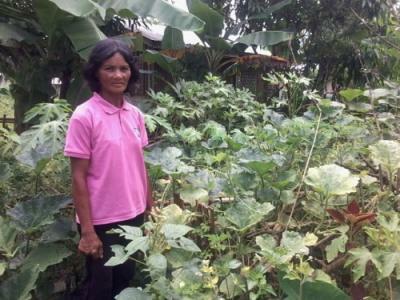 She earns a living by farming vegetables in the Philippines. Betty is borrowing PHP 20,000 through NWTF to buy fertilizers and other farm supplies. Betty has been farming vegetables for 10 years and also earns additional income from selling vegetables. She is working tirelessly to attain her dream: to save enough money so she can afford to send her children to college.